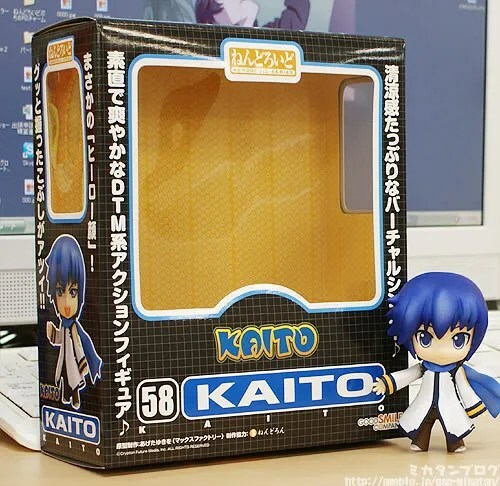 Nendoroid KAITO is currently being considered for re-sale (again). Phat! Company is still working hard on Nendoroid Sanada Yukimura from Sengoku BASARA, and it is definitely making a progress. Nendoroid Nymph from Sora no Otoshimono is going for a debut soon. Nendoroid Elly from Tantei Opera Milky Holmes is going for a debut soon. This entry was posted in News and tagged elly, hercule barton, kaito, nendoroid, nymph, sanada yukimura, sengoku basara, sora no otoshimono, tantei opera milky holmes, vocaloid. KAITO again? i already have kaito-san why not the kagamine twins? actually they just released the support version of the Kagamine twins on the GoodSmile Shop, so they’re kind of having a resale of them. “Hi there! I’m a fan of the blog and hope to continue reading it for some time to come! Also, what about the other three Milky Holmes girls? I’m really looking forward to them! Elly is following on from Sharo – she is coming soon! Notice how Mikatan completely ignores the Madoka subject?